This is a list of movie recommendations of movies similar to Donnie Brasco. Bear in mind that this list is in no particular order. 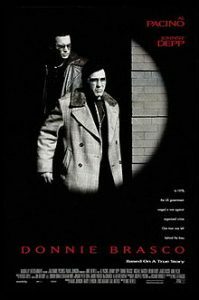 A free man after years in prison, Carlito Brigante (Al Pacino) intends to give up his criminal ways, but it’s not long before the ex-con is sucked back into the New York City underworld. 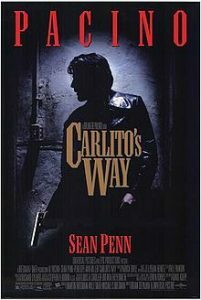 Reconnecting with his dancer girlfriend, Gail (Penelope Ann Miller), Carlito gets entangled in the shady dealings of his friend Dave Kleinfeld (Sean Penn), who also serves as his lawyer. 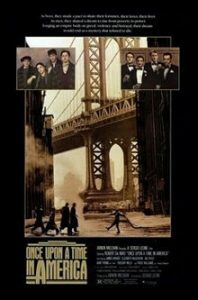 When Carlito and Kleinfeld run afoul of shifty gangster Benny Blanco (John Leguizamo), it sets them on a dangerous path. 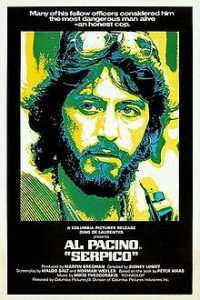 Frank Serpico (Al Pacino) is an idealistic New York City cop who refuses to take bribes, unlike the rest of the force. His actions get Frank shunned by the other officers, and often placed in dangerous situations by his partners. When his superiors ignore Frank’s accusations of corruption, he decides to go public with the allegations. Although this causes the Knapp Commission to investigate his claims, Frank has also placed a target on himself. The film is based on a true story. 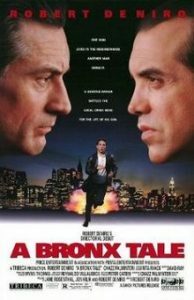 As he grows into a teenager on the streets of the Bronx in the socially turbulent 1960s, Calogero (Lillo Brancato) gets taken under the wing of neighborhood mobster Sonny (Chazz Palminteri). 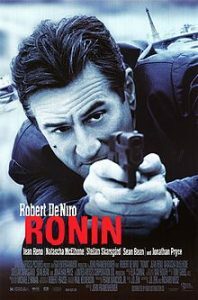 Sonny initiates the boy into the ways of gangland life, in direct conflict with his straight-arrow bus driver father (Robert De Niro). But when Calogero falls for his African-American classmate, Jane (Taral Hicks), the repercussions threaten the entire neighborhood. In early-1970s Las Vegas, low-level mobster Sam “Ace” Rothstein (Robert De Niro) gets tapped by his bosses to head the Tangiers Casino. 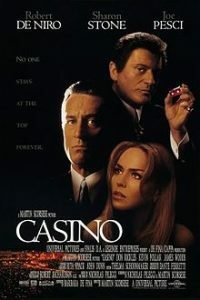 At first, he’s a great success in the job, but over the years, problems with his loose-cannon enforcer Nicky Santoro (Joe Pesci), his ex-hustler wife Ginger (Sharon Stone), her con-artist ex Lester Diamond (James Woods) and a handful of corrupt politicians put Sam in ever-increasing danger. 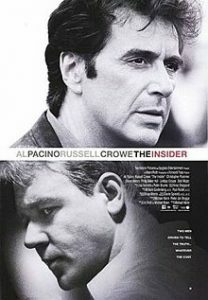 Martin Scorsese directs this adaptation of Nicholas Pileggi’s book. 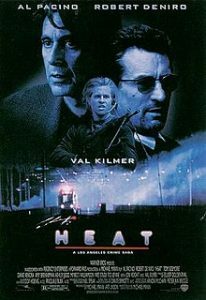 Master criminal Neil McCauley (Robert De Niro) is trying to control the rogue actions of one of his men, while also planning one last big heist before retiring. 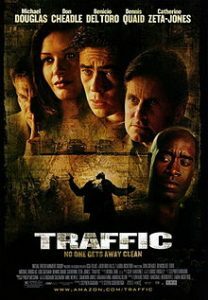 Meanwhile, Lieutenant Hanna (Al Pacino) attempts to track down McCauley as he deals with the chaos in his own life, including the infidelity of his wife (Diane Venora) and the mental health of his stepdaughter (Natalie Portman). McCauley and Hanna discover a mutual respect, even as they try to thwart each other’s plans. In 1968, the elderly David “Noodles” Aaronson (Robert De Niro) returns to New York, where he had a career in the criminal underground in the ’20s and ’30s. Most of his old friends, like longtime partner Max (James Woods), are long gone, yet he feels his past is unresolved. 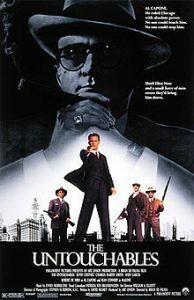 Told in flashbacks, the film follows Noodles from a tough kid in a Jewish slum in New York’s Lower East Side, through his rise to bootlegger and then Mafia boss — a journey marked by violence, betrayal, and remorse.